Cooking with 'One Pound Meals' by Miguel Barclay! So today I’ve got a little review of a cook book. I know. It is not like me to review a cook book! But, Zack bought us this a few weeks ago and we have used it every day since! Plus, I asked on Instagram if you would like a review and a few of you said yes, so here we are. 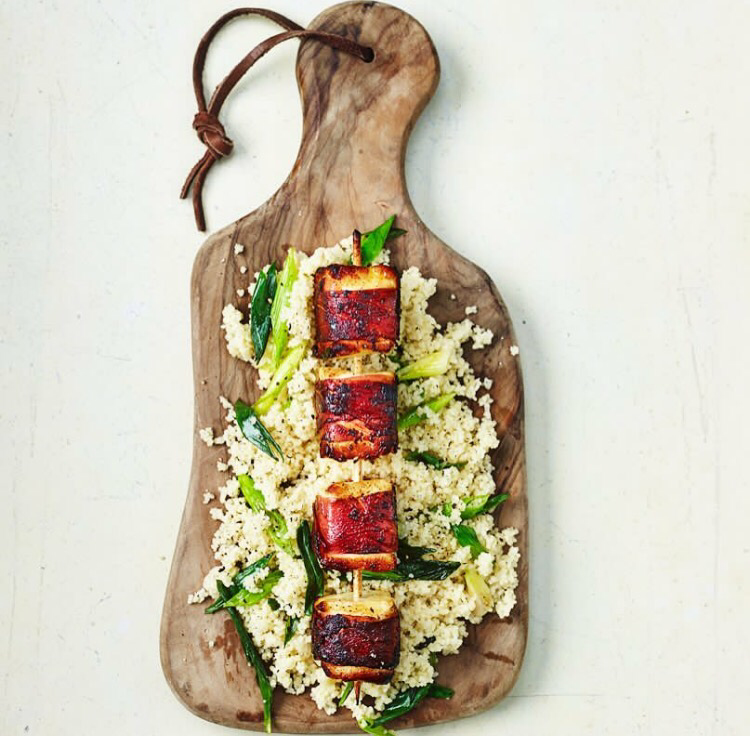 Anyway, ‘One Pound Meals’ is a cook book by Miguel Barclay, who is an Instagram chef, so the photos are bloody lovely! The essential idea behind the book is that each portion of the meal costs £1 or less, so me and Zack could effectively make two meals from the book and have only spent £1 each. The way it works is that a lot of the recipes use similar/the same ingredients therefore there’s no need to spend lots of money on lots of different herbs and spices and ingredients. But this is perfect for us! Mainly because I am a vegetarian and I am pretty fussy, but Zack really loves his food, so sometimes we want to eat at the same time but eat different things but we struggle with portions. However, this book gives the amounts of ingredients for ONE meal! So no having to work out the quantities, which means less maths! So, yeah, this book is perfect for us which we sort of knew when we bought it, and that was also the reason we bought it. But, obviously we didn’t know what to expect from the actual dishes and recipes themselves. We’ve, between us, probably tried about a third of the recipes in the book now, and I can honestly say they are so delicious! Every single one has tasted amazing. My favourites so far have been the butternut squash risotto, mushroom gnocchi, chow mien (without the chicken) and the hummus and flat bread! They have all been just so yummy, and I can honestly say they’ve made me look forward to cooking each day. The recipes are unbelievably easy to follow, and I have absolutely zero cooking experience but even I can say that! All of the steps are simple, and I don’t think any of the recipes have taken me longer than an hour to complete, so pretty quick too! As well as just the recipes themselves, this book has taught me so many basic kitchen/cooking skills that I lacked. And it has also given me a newfound confidence in the kitchen. For example, I made a flat bread yesterday! Yup, I MADE a flat bread and it was easy as hell but if this book hadn’t prompted me too, I would never have tried as I would have just deemed it too difficult for my limited skills. I’ve been surprised again and again by what I CAN actually do, and I haven’t looked at a pack of super noodles in weeks! As I’m more comfortable with the recipes now, I’ve been branching out a little from the book. I’ve also become confident in adjusting the recipes slightly to suit what we currently have in the cupboard, or what we like the most! I’m now making my own flatbreads, hummus, sauces, and for the first time in my life I am enjoying cooking dinner every night. Also, when I mentioned this book on my Instagram story, Miguel replied (which I did NOT expect at all!) and he was so lovely, so it makes me even happier that I’m enjoying his book so much! Miguel’s original ‘One Pound Meals’ book is on amazon at the moment for half price (£7.49) which you can buy HERE. It is also available to buy on Asos for £5.50, but these keep selling out very quick! 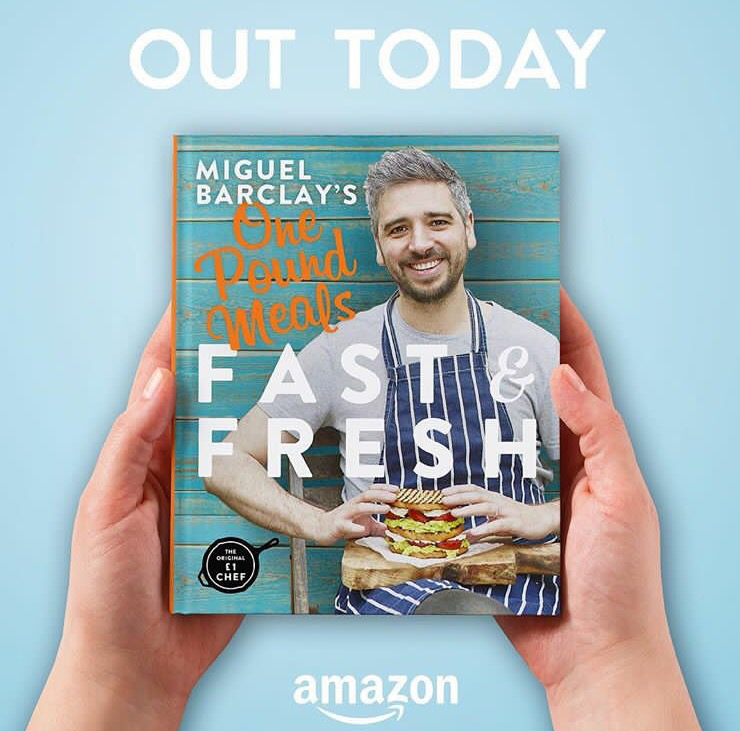 I don’t know when you’ll read this, but as I am writing this, it is actually the publishing day of Miguel’s 2nd book, ‘Fast and Fresh One Pound Meals’! I can’t say whether this is as good as the first yet, as I’ve only ordered it this morning from Amazon, but I’m sure it will be! You can check out the second book HERE. Let me know in the comments if this book sounds interesting, and what your cooking skills are like! *All of the links provided are not affiliate links. I have provided both Amazon and Asos so that you can choose which one you wish to order from. 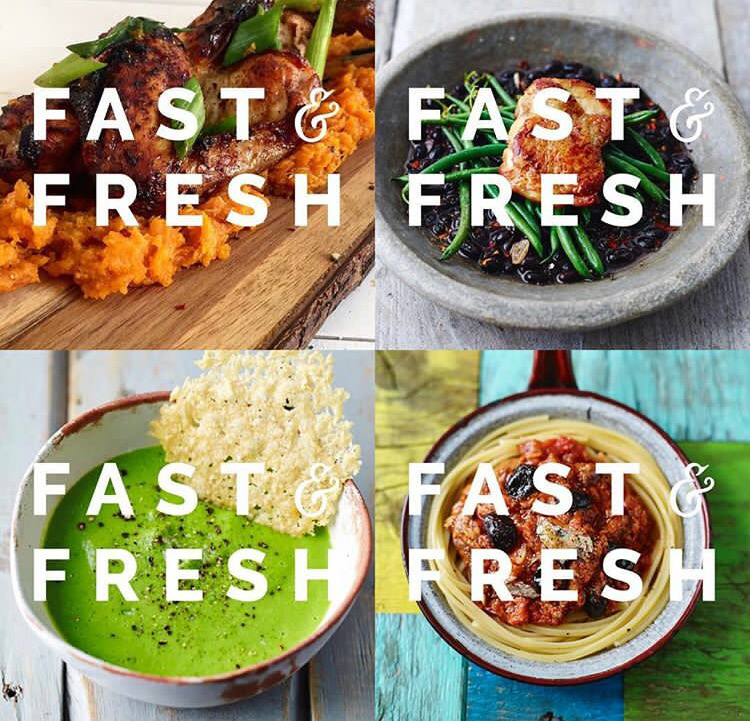 All images sourced from One Pound Meals Instagram Page because my photos will never be as pretty as Miguel's. Sounds like I have the same cooking philosophy as you so you have sold me on this book! As Foodies we love this review, we’ve heard so much about this book but have ne Ed gone round to buying it. Will definitely be making a purchase soon! Wow, this cookbook sounds like a lifesaver! When I’m at uni, I usually cook just for myself, I cook large portions (mostly in the slow cooker because everything from the slow cooker tastes amazing!) and then freeze them for later – however, the exact one person portions sound like such a good idea, and the £1 value can’t be beaten! I’m impressed that you made your own flatbread as well, I’ve never baked bread before but I’d really like to! I need to invest in this cookbook! That sounds like a great cookbook! Ha, the #MuggyMikePasta sounds interesting! I was a massive love island fan so I’m going to check out the #muggymikepasta . This is such a great idea for a book, I’m a single gal and I’m always looking for recipes that aren’t for 2 people! I’m going to check Miguel out on Insta and definitely will purchase his book. I’m super hungry now too – you’re right his photos are lovely..! I’m really not a fan of cooking or spending a lot of money on food, so quick and easy AND cheap recipes are a lifesaver! I have a few cookbooks but so many of the recipes take ages and need so many ingredients. Going to add this into my Amazon wishlist right now! This book sounds really good, I’d love to read it, it was so good to read your review too. 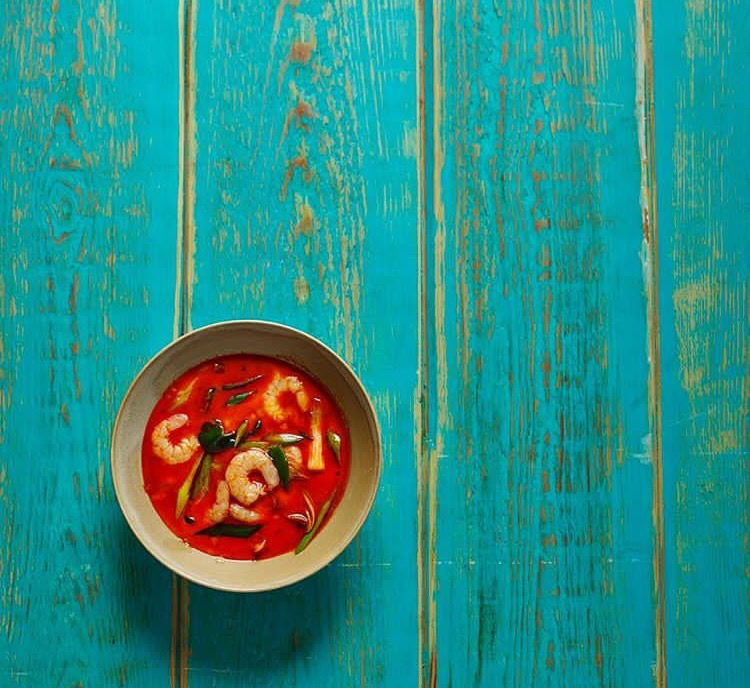 I don’t think I’ve come across a review of a cookbook before so thanks for sharing! I love cooking! I tend to go over board on buying pricey ingredients though so this sounds like the book for me. I’d love to make my own flatbreads too! !